Pro Motion is happy to announce our August Athlete of the Month, Anna Florinski! 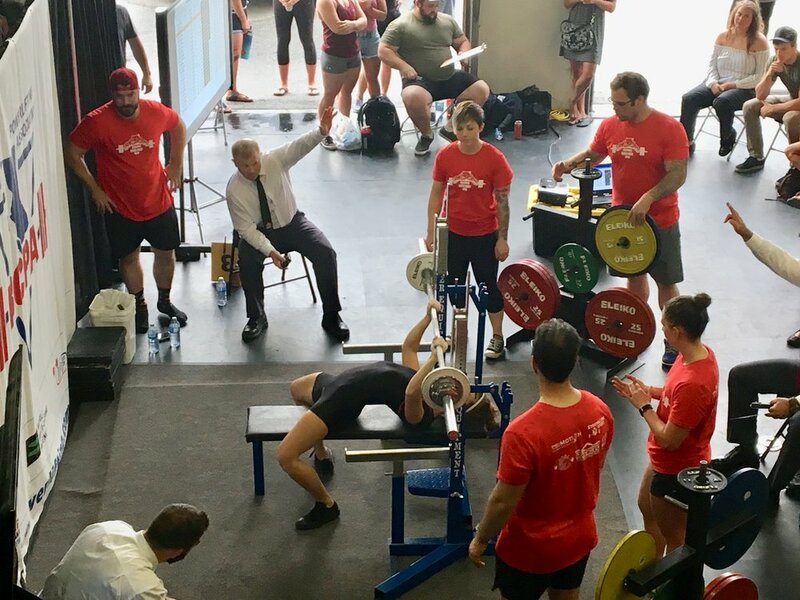 What made you decide to compete in a power lifting competition? I am the most successful in all areas of training with an end goal in mind, so after discovering a passion for weight lifting it was a tangible goal to work towards. What advice would you give to someone thinking about entering their first competition? Find someone in your life that will hold you accountable to making it there! What is the biggest goal you've set for yourself and achieved? For years I have been talking about moving to Australia, and I have finally put this plan into action: flights are booked visa is in and I take off with no return flight in early October. What made you decide to move to Kelowna, and what is your dream place to live? I was born and raised in Ontario, I lived in Alberta for several years and had never been to British Columbia so when it came to applying for University I only applied to a handful of schools in B.C. because i was up for a new adventure. I would like to spend the next couple years of my life living in as many places as possible but I would like to settle down here again when the time comes. What do you do to keep yourself healthy? I have experienced a great deal of lower back pain and without my visits to Pro Motion and modified training from my coach, the sport would not have been justifiable if it were going to compromise my long term health. What is your favourite lift? My goals are ever changing and I am most inspired by a new challenge. I am for sure my biggest critic but I know what I can achieve and I don't stop until I get there. What is your biggest weakness and how do you combat it? My biggest battles are undoubtedly with sleep and proper nutrition, I work a lot of hours in a week so it is often difficult to obtain a full nights sleep and find the time to eat a balanced diet. I have a killer support team who are always looking out for me in those areas of my life and I don't think that I could do it without them. My best friend Courtney Chan. She is kind, brilliant, self-less, supportive and SO motivated. I joke about it a lot but the magic three from Courtney are 1. What is it? 2. Are you ok? 3. What do you need? She would do anything for me but is confident enough to stand up to me and tell me when I need to make changes (she also makes me meals on my long days if she thinks I am not eating).